My Nephews' birthdays are at the end of summer. There mom (my SIL) asked me to create some dress-up clothes for them that will not fall apart and she also said that they like pirate and knights. I was up for the challenge. Totally cool- right?! Now the guy who made this, created the whole thing. 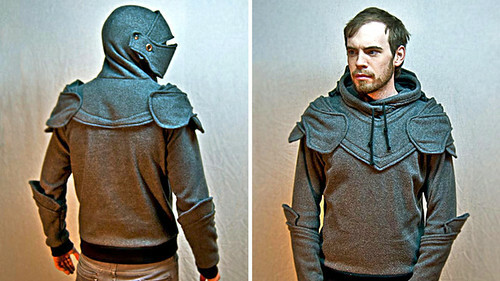 I was inspired but I also wanted a short cut so I thought I could start with a gray hoodie and add to it to make it look like knight armor. 1. Cut out the mask pattern and trace the outline of the it onto your felt on the fold. 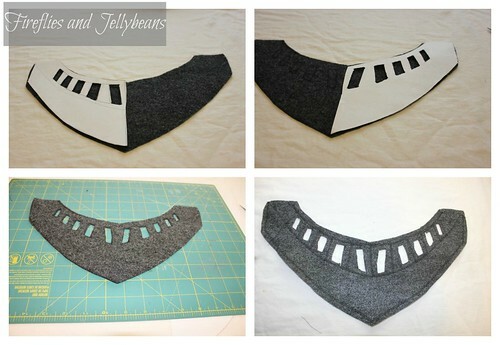 Cut out the pattern out of the felt. 3. Mark of each side of the hood were you want your button to go to attach the mask. Sew on the buttons. Cut out the helmet rim pattern. Trace the pattern on the fold of the felt and cut it out. Add zig-zag stitching around the outside edge to give it dimension. 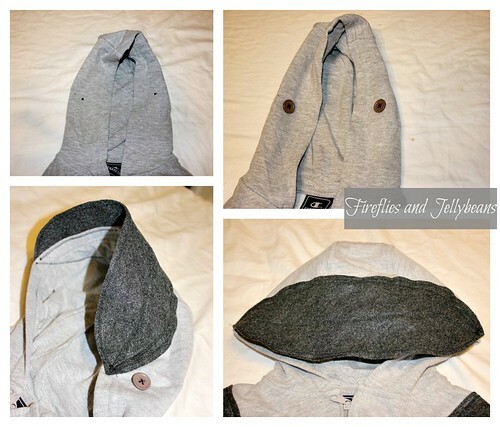 Attach it to the top of the hood lining up the ends with the buttons. 4. 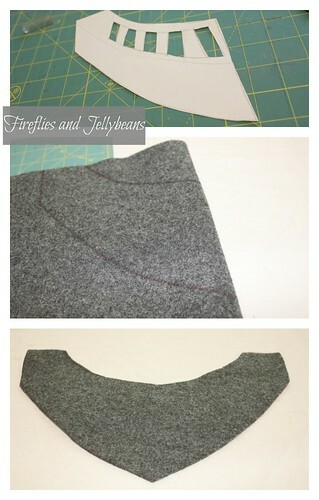 Cut out the shoulder armor pattern and trace it on the fold of your felt. 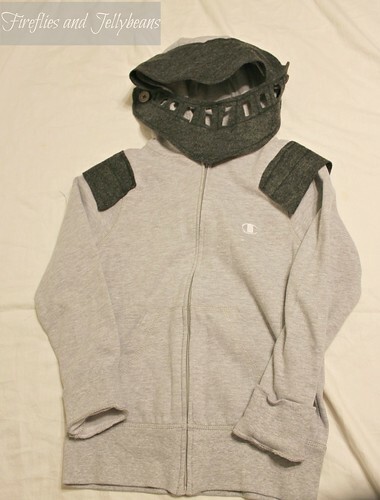 Line up the middle of the shoulder armor with the seam of the shoulder of the hoodie and pin in place. 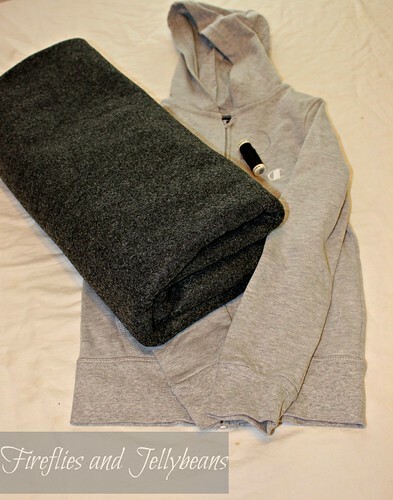 Sew on to the shoulder using a zig-zag stitch. I used 2 lines. 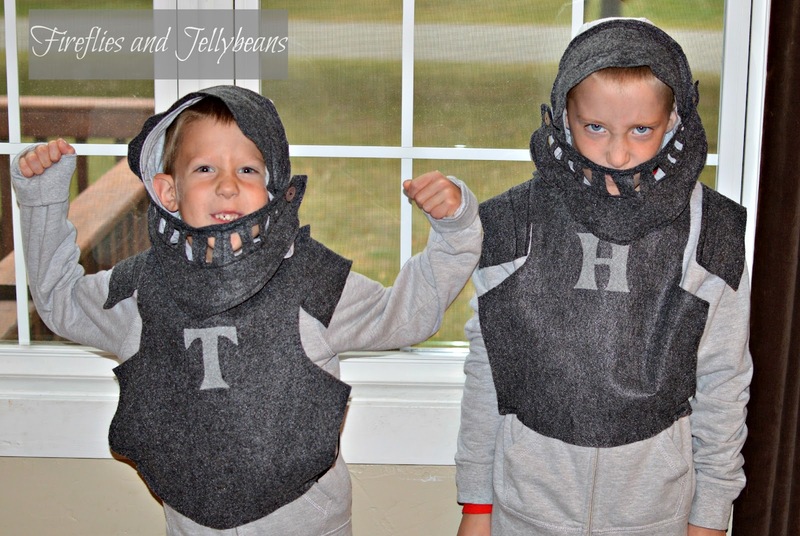 Here are my nephews sporting their new Knight hoodies! For the breast plats I just cut out a shield shape and sewed elastic straps to the back in a criss-cross. Then I used a stencil to monogram them. That is just so amazing! Love love love this. Good job. Perfect! What a great adaptation!